Here you can listen to all of his shows! Beneath you can find a complete list of all the shows, artists, years, etc. Body and Soul Coleman Hawkins 1939 East Of The Sun Sarah Vaughn ? The Man I Love Red Norvo 1944 Night And Day Marry Lou Williams ? Dead Man's Blues Jelly Roll Morton 1924 I Want A Little Girl Joe Turner ? Home At Last Dave Brubeck 1957 Night Train Buddy Morrow ? Square Face Wingy Manone 1935 On The Sunny Side Of The Street Bing Crosby & Lionel Hampton ? I Only Have Eyes For You Coleman Hawkins 1944 Milk Cow Blues Josh White Trio ? Music Maestro Please Frankie Laine 1950 Helena's Dream Sonny Greer ? Red Hot River Valley Firehouse 5 + 2 1949 Tea For Two Ray McKinley Quartet ? That's A Plenty Jimmy Dorsey ? Sentimental Blues Ray Charles Trio ? Topsy Cozy Cole 1958 In The Dark/Flashes Jess Stacy ? Sweet Loraine Cootie Williams ? Tin Roof Blues Claude Hopkins ? Stardust Nat King Cole ? 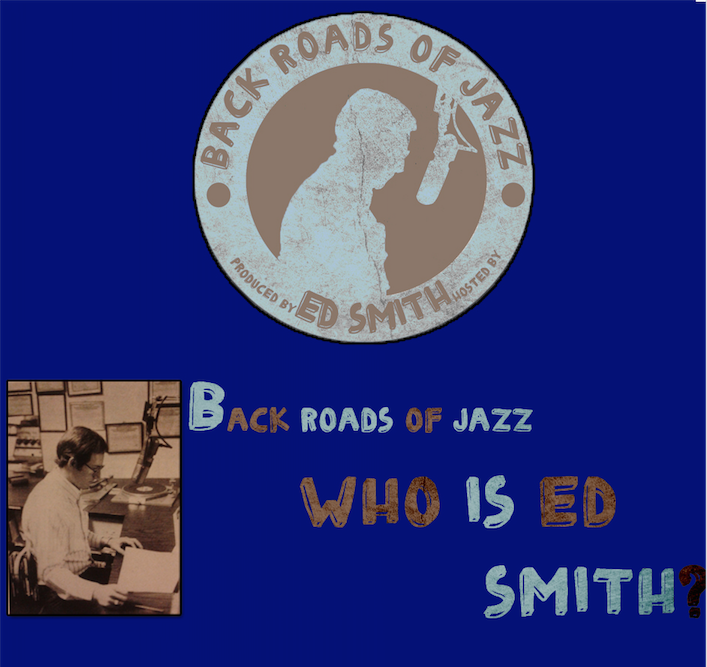 Ain't Misbehavin' Eddie Miller ? Weary Blues Lu Waters 1946 Tom Cat Blues Jelly Roll Morton w/King Oliver ? Bebop-A-Lebop Bill Doggett w/Helen Humes ? Memories of You Billy Eckstine ? Stormy Monday T-Bone Walker 1947 Milenberg Joys Pete Fountain ? Woo Woo Harry James Trio 1939 Autobaun Blues Ralph Burns ? There's a Squablin' Walter Page's Blue Devils 1929 Tennessee Blues Count Basie ? Stompin' At The Savoy Chick Webb 1934 Mad About Him Blues Dinah Shore ? You Took Advantage Of Me Art Tatum ? Zaggin' With Zig Ziggy Elman ? Tomorrow Night Lonnie Johnson 1947 Stompin' At The Savoy Si Zentner ? I Never Knew Bing Crosby ? Sophisticated Lady Charlie Ventura ? Gee Baby Ain't I Good To You Nat King Cole ? Gambler's Blues Stan Kenton ? Honky Tonk Train Blues Mead Lux Lewis 1941 How Deep Is The Ocean Coleman Hawkins ? Livery Stable Blues ODJB 1917 St. Louis Blues Duke Ellington ? Tell Them I'm Not To Late Jimmy Rushing ? At The Jazz Band Ball ? ? Tantalizing A Cuban Earl Hines 1940 Good Rockin' Tonight Wynonie Harris ? Can't We Talk It Over Laver's Chicago Loopers 1945 Johnson's Wax Ozzie Johnson ? Little Joe From Chicago Mary Lou Williams 1939 Jada Eddie Condon ? Would'nt You Modern Jazz Quartet 1956 Stormy Weather Charlie Mingus ? Wrap Your Troubles In Dreams Illinois Jacquet ? Candy Cane Harry Carney's Big 8 ? Fat Meat Is Good Meat Savana Churchill ? Worried & Blue Don Byas ? Cryin' & Driftin' Blues Three Blazers ? 7th Avenue Trummy Young's All Stars ? Henderson Romp Big Sid Catlett ? Black Market Stuff Herbie Heymer Quintet ? I Wanna Blow Benny Green ?